OneSpan Sign is the electronic signature solution behind some of the world’s most trusted brands. Regulated industries and top analyst firms recognize OneSpan Sign products and services for their ability to balance the highest levels of security and compliance with ease-of-use while automating any process – from the simplest, internal signing workflow to the most complex, customer-facing transactions. Available in the cloud and on-premises, the OneSpan Sign solution offers a scalable platform to support an organization’s digital transformation strategy across the enterprise – today and tomorrow. A Division of OneSpan: OneSpan Sign is a part of OneSpan. OneSpan enables financial institutions and other organizations to succeed by making bold advances in their digital transformation. We do this by establishing trust in people’s identities, the devices they use, and the transactions that shape their lives. We believe that this is the foundation of enhanced business enablement and growth. More than 10,000 customers, including over half of the top 100 global banks, rely on OneSpan solutions to protect their most important relationships and business processes. From digital onboarding to fraud mitigation to workflow management, OneSpan’s unified, open platform reduces costs, accelerates customer acquisition and increases customer satisfaction. (NASDAQ OSPN). My department was using this software for a fairly unique reason - intake of scholarship applications. Previously we had just received a fillable PDF form by email, or students mailed in a hand-written copy of the application, and then spent hours compiling the information and retyping applications that weren't legible. Moving completely to an online system worked well for us. A few students had issues when they started an application, and then didn't finish it (the email from e-sign went to their junk email inbox and they didn't think to check it), but that's user error on their part. There were a number of things that using e-SignLive made easier, but some of the functionality introduced unforeseen challenges!I loved that the application was so easy to create and we were able to take our PDF application and plug it right into the e-SignLive system. We had it up and running very quickly after deciding to use it! Support was great and very responsive when I had questions. Definitely phone them over email if you have questions though! It was a very easy system to use. We were also able to tell students that they had to submit their application with certain required attachments (transcript & reference letter). We were also unable to export the data until our IS dept created a work-around for us. Once they were able to do that though, it was a huge win for us! I loved that the application was so easy to create and we were able to take our PDF application and plug it right into the e-SignLive system. We had it up and running very quickly after deciding to use it! Support was great and very responsive when I had questions. Definitely phone them over email if you have questions though! It was a very easy system to use. We were also able to tell students that they had to submit their application with certain required attachments (transcript & reference letter). We were also unable to export the data until our IS dept created a work-around for us. Once they were able to do that though, it was a huge win for us! Faster deployment of the product for eSignature and eDelivery capability. Scalable for enterprise usage across all LOBs.The architecture of the product is very scalable and enterprise deployable that can be leveraged within various business processes for delivering eSignature experience. It is a REST based API integration platform that can be integrated with your enterprise applications and offers lot of configuration and customization capabilities for enterprise deployment. The architecture of the product is very scalable and enterprise deployable that can be leveraged within various business processes for delivering eSignature experience. It is a REST based API integration platform that can be integrated with your enterprise applications and offers lot of configuration and customization capabilities for enterprise deployment. The mobile experience is still not responsive and need the capability to support HTML5. Need capability to support more than PDF documents as inputs for eSign ceremony. ADA compliance should be default that should be inbuilt to the product offerings. eSL ux should be SAML enabled. EsignLive has designed a software that is both easy to manage and easy for end users to navigate. The overall stability of the EsignLive product is a huge value add as we know that any errors that do occur are most likely caused from a user error or an error with our internal processes. the customer support has been great and any bugs that we report get immediate attention. The way that we use EsignLive, we log directly into the user interface using mobile devices. currently, the display on the mobile device isn't the best as is does not display the page nicely and creates a lot of scrolling back and forth to read the complete document. The radio buttons are also hard to read on the mobile display. Cheap but still does a good job. Onespan provides my organization a fast and cost effective way to get contractual documents signed .Documents we sign with Onespan are legally acceptable ,allowing us the freedom to defend them if ever there is a need.For users with an initial experience using an esignature tool, they will encounter a very short learning curve with Onespan, just like I did when we switched late 2017. We moved to Onespan because it is one of the cheaper esignature tools out there and offers all of the basic features and functionality I have come to expect from an effective esignature software. For users with an initial experience using an esignature tool, they will encounter a very short learning curve with Onespan, just like I did when we switched late 2017. 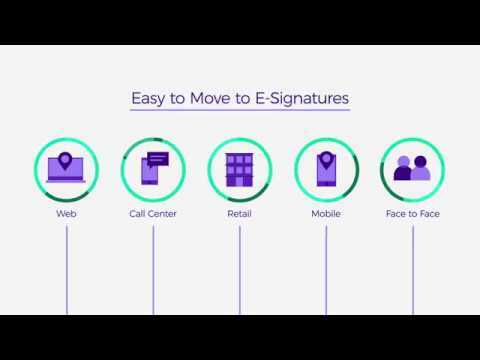 We moved to Onespan because it is one of the cheaper esignature tools out there and offers all of the basic features and functionality I have come to expect from an effective esignature software. We have encountered issues with differences in time zones when sending documents to clients. I think it will be nice if the Onespan system can automatically translate the differences in timezone to whomsoever we are signing documents with. Building the repetitive documents was made easy through eSignLive. We have some forms used regularly by our clients in which we take their signature. Before it was manual and now we made it automated. eSignLive saved time and money. Not only that but its easy to use. Its a reliable product. I like the lively and lovely support eSignLive provides. I never found something was missing . Every time I think of some new feature, I see they already think of it and providing it. It integrates with many products. The UX design is simply superb. I thank the designing team for this great UI/UX. I heard that price can be negotiated but when some one really like the product, they don't even think of negotiation. E-Sign Live falls under that category where you don't think of negotiating. Its a reliable product. I like the lively and lovely support eSignLive provides. I never found something was missing . Every time I think of some new feature, I see they already think of it and providing it. It integrates with many products. The UX design is simply superb. I thank the designing team for this great UI/UX. I heard that price can be negotiated but when some one really like the product, they don't even think of negotiation. E-Sign Live falls under that category where you don't think of negotiating. I have explored all the options to find something that I can find which appears not good / I don't feel comfortable. But, I couldn't find something. We offer a fully featured, unlimited 30-day free trial of our Professional edition where you an send as many documents for e-signing required to fully test-drive our service. After that, our solution costs as low as $20/month/user with no contracts, cancel any time. For organizations that need more than 10 licenses, request a quote. We are listed on the GSA and have preferential rates for government. - White-labeling capability: We offer white-labeling and brand customization options to keep the spotlight on your brand during the e-sign process. - Flexible deployment options: We give you the flexibility to choose how and where you want to the deploy the solution – whether that's in a public cloud, private cloud or on-premises. - Comprehensive audit trails: We offer comprehensive audit trails and easy access to details about the signer's actions during the e-sign process. - Anti-tampering controls: OneSpan Sign uses digital signature technology to tamper seal documents after each signature and visibly invalidate documents if any changes are made. This built-in security guarantees the integrity of the e-signed document and helps protect you and your customers from fraudulent behavior. - Easy to integrate: Customers and partners praise OneSpan Sign for the ease of use of our API and fully supported SDKs for Java, .NET, APEX, iOS and Android. Our tools facilitate rapid development of e-signing capabilities for your web applications, core systems and mobile apps. - Strong customer focus: OneSpan Sign is recognized by analysts, customers and partners as a leader in e-signatures for customer-facing transactions. We are consistently ranked #1 in customer satisfaction with the highest customer retention rates in the market. Below are some frequently asked questions for OneSpan Sign. Q. What type of pricing plans does OneSpan Sign offer? Q. Who are the typical users of OneSpan Sign? Q. What languages does OneSpan Sign support? Q. Does OneSpan Sign support mobile devices? Q. Does OneSpan Sign offer an API? Yes, OneSpan Sign has an API available for use. Q. What other apps does OneSpan Sign integrate with? Q. What level of support does OneSpan Sign offer? Q. Which apps is OneSpan Sign compared to most often?